When Tom is wrongfully accused for murder, Huey and Riley enlist the help of Ed III and his friend, Gin Rummy to find the real killer. Huey Freeman: I know who did the killing! I've known for twenty minutes. Guy's name is Terrell Jackson; he's been bragging about it all day. Everybody knows. He lives five minutes away. I've got MapQuest directions right here. Ed Wuncler III: How'd you find all this out? Huey Freeman: We talked to people! Riley: [holds up a drawing] I got a picture. 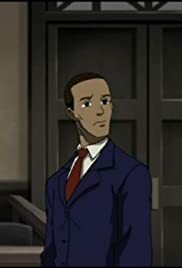 Riley: I drew it from the description of the dude that they gave us while y'all was whuppin' niggas asses in the street. I almost had time to color it.